All sticks are equipped with combination hanger hook and tie wire assistant. 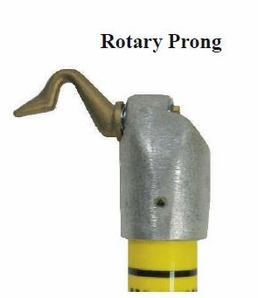 Rotary Prong - Use the rotary prong tie stick head for applying new tie wires with loops. Rotary action of prong provides ease and speed in operation.